Belief in conspiracy theories requires a healthy dose of paranoia, and domain name front running (DNFR) – the idea that domain name registrars like Go Daddy or Network Solutions are monitoring your domain name availability queries and registering anything you don’t immediately register yourself – sounds like a presumption of only the most suspicious and mistrustful. Ironically enough, in 2008 the same Jonathon Nevett confirmed that Network Solutions was, in fact, front running domain names, although they never admitted wrong-doing and claimed it was for the benefit of their customers. The ICANN Security and Stability Advisory Committee has received many complaints over the years and in October, 2007, they released the ICANN Domain Name Front Running advisory. So what’s the big deal? When a registrar registers a domain name that you have searched on and believes you are interested in, you are no longer able to purchase the desired domain name for, say, $8. Instead you either must spend whatever price the registrar sets, which likely ranges from $50 to $500, or go back to the drawing board to find a new domain name for your business. Further, DNFR drives individuals to register domain names as soon as they first query their availability, before a final name decision has been made, just to allow them to maintain the option of using those names. As a result, an individual can end up registering extra names and spending more money than they should have to. To extort money from the person who originally intended to register the name by making them pay to get it. To steal the business idea of the person who originally intended to register the name. To block or disrupt the business or project of the person who originally intended to register the name. To utilize the traffic that the name generates. Many domain name registrars – including Moniker and Sedo, for example – maintain their own portfolio of domain names that they monetize with websites, parking or resale. While not illegal to do so, some domainers frown on this practice, arguing that owning domain name portfolios puts registrars in a conflict of interest with their customers who want to potentially purchase the same domain names. And it’s this practice that can lead to DNFR because when registrars are looking for desirable names to add to their portfolios, they have the domain name query data at their disposal. Up until 2008, domain name “tasting” allowed registrars to register large quantities of domain names, place advertisements and see if they could produce significant revenue, and then drop the ones that were not financially viable. In 2009, 99.7 percent of domain name tasting came to an end when ICANN announced they had made large-scale domain name tasting financially unviable. (The solution they enacted charges registrars if they return more than a certain number or percentage of domains each month.) This still allows, however, for a small number of domain names to be tasted, which can lead to the unscrupulous practice of DNFR. The answer involves using your computer’s terminal access that connects directly to registry databases, rather than using a web interface through your computer’s browser (see figure below). By doing that, you bypass the “middleman” registrar. Open the Terminal application (located at /Applications/Utilities/Terminal.app). For quick access, simultaneously press Command+Space and then type in “Terminal”. example, type “whois domainsherpa.com” to perform a WHOIS lookup of this website. Download Whois v1.01 from Microsoft and open the application. While the above three procedures do not guarantee that your domain name search will not be tracked, they do make it far less likely. According to a blog post by Jay Westerdal in 2007, the worst thing you can do is type your desired domain name into your browser directly to see if it resolves. “Non-eXistent Domain (NXD) Data is a response the DNS system tells the asking computer if resolution on an IP address fails because the domain doesn’t exist. Yes, ISPs [Internet service providers] sell this data,” according to Westerdal. NXD data can be extracted from ISP logs and sold to research companies who can then do domain name front running or sell it to another party who could do domain name front running. Using WHOIS lookup services that are not trusted. Just because the idea of someone monitoring your domain name queries sounds paranoid, that doesn’t mean it’s not happening. My final tip? Buy a domain name of interest as soon as you see it available. [Update: 04 April 2011 @ 12:12pm PDT] As the discussion continues both here on DomainSherpa.com and on Hacker News, I decided to ask the domain name registrars mentioned in this article to respond directly to the topic of domain name front running – for the record. Below is my tweet and any responses received from the four registrars mentioned in the article. For those of you who are fans of Hacker News (hackers being those with technical adeptness who find delight in solving problems and challenging limits), a parallel discussion of this article and domain name front running is taking place. I’m pretty sure this happened to me. I searched for a domain and it was free. I left it for a week and then it was gone!! Now I am trying to use the Microsoft Whois tool but I find there is a timeout which prevents you running multiple Whois lookups in quick succession. I note there is a Whois.server which can be provided as a parameter. What should I put in here to run the query directly against the register? I have recently searched for a domain on a few register sites. All within a week, now someone has purchased my domain search & has put it up for sale in less than 24 hours. From $10.99 to $950.00 to own it. It is a distinctive name that I have submitted a trademark for. It does not make any sense to me. The moment I get my serial number for the trademark, a purchase for the domain appears. It was clearly available prior. Now I am wondering what to do next. It’s not unusual for a domain name to be hand registered by one of the other 7+ billion people in the world. Just look at all the comments below…it happens regularly. It’s unfortunate, but next time I’d suggest you register the $0.99 domain name (with a GoDaddy coupon…just search for domain name on Google) as soon as you think of it. Unless you have a trademark and can prove the domain name was registered it bad faith, it’s going to be an uphill battle (plus cost you a couple thousand dollars) to try to take ownership of it through UDRP. I wish you luck in your business. Thanks for visiting DomainSherpa.com. You cannot “search for a domain name” by either typing in the domain name in your browser’s address bar or searching in Google or another search engine. Whether a domain name resolves (or not) or is found in a search engine (or not) is not a viable way to determine if it’s available for registration. Is there a way to grab that domain immediately and have some privacy for my information? Or only have it exposed for a brief time before transferring the 99 domain somewhere more private for the long term? So, I’ve been using the ICANN WHOIS site to see if a domain is taken (thank you ? ), but now, I need to take it a step further, to see how much an unregistered domain name would cost to purchase, without DNFR taking place. I don’t believe I can do that using this same site, so I was hoping you could steer me in the right direction again…??? TIA!!! If you want to see how much a .com or .net, for example, costs at various registrars, you can use a third-party service like https://www.domcomp.com/ or https://tld-list.com/. I’m vey new to the domain game, so please keep that in mind. I’m having kind of the opposite problem. I have been using InterNIC to search whether domain names are registered, which is supposed to bypass this middleman/avoid DNFR. Sometimes, I’ll get a result that says there’s no match (not registered), but then I’ll type it in the navigation bar (at the top of the page) just to double check and it’s there – a live website with that domain. Can that be? A reluctant check with godaddy says it’s taken too. And, sometimes (no as often), I’ll check on godaddy, and it’ll say it’s not taken, but InterNIC says it is. I don’t get it…what am I missing? Sometimes these whois lookups fail. I was running [word][word].com combinations generated through Excel through a bulk checker at a major registrar, and a handful came back as available to register. Then when I did, I found out they were registered. I suggest you try another site for doing your whois lookups if you’re not finding reliable results. Services improve and devolve all the time on the web, unfortunately. Personally, I’ll try GoDaddy or Uniregistry to do a whois lookup on a domain name and then immediately register it if I find it available. This happened to me. I had searched for fkennedy.com on godaddy and it was available. Later that night, it wasn’t. I thought I was just an angry paranoid person thinking that someone knew what I was looking for. Ended up buying a similar domain. A month later, someone emails me asking if I’d like purchase fkennedy.com. Boy did I let them have it. Sorry for the delay in posting your comment. I was stuck in my spam folder and i had to rescue it. With all due respect to you, I believe you are mistaken with what happened in this case. I thank you for posting your domain name so I could research it further. I used DomainTools.com, which is like the “Wayback Machine” but for domain names. I records who owns a domain name over what periods of time. 1. Originally registered 2006-07-28 by Nathaniel Kennedy of Pennsylvania until he let the domain name expire on 2016-12-31 (for whatever reason). 2. At GoDaddy, when a domain name expires it goes to GoDaddy Auctions at auctions.godaddy.com. Often times, when you search for a domain name that expired GoDaddy tells you “it’s available” but it’s really at auction. If you would have purchased it in auction, it could have been yours. 3. Instead, the name fully expired, meaning it appears that nobody bid on the domain name at GoDaddy Auctions. 5. It was probably HugeDomains.com doing outbound marketing to you because you own a domain name similar to it and they looked up your whois information and found your email address. If you forward me a copy of the email, I can help you figure out who it was and why it happened. But they likely reached out to many people with that name and offered it for sale. I, too, receive unsolicited emails with domain names that may be of interest to me, just like I receive physical mail in my mailbox with offers from people who think I may want to buy something from them (catalogues, etc.). I’m sorry you didn’t acquire the domain name you wanted when it was available. It is frustrating, and — unfortunately — many of us have been in the same situation. At some point, you have to acknowledge that the evidence is overwhelming. You can dig into all the histories you want, but this has happened – and is happening to multiple (LOTS of) people. One has to acknowledge that there is some fire behind all the smoke. I am curious as to your desire to defend every domain registrar out there. Why do you feel that they are not capable of this – especially since the money to be made is ginormous? I’m only trying to educate. That is my only desire. When someone brings me facts, there will be no disputing them. Until then, I can only believe in the data I have. This happened to us multiple times with various websites, registrar and mainly WHOIS search sites. I have been testing this theory since 2012 and this practice is indeed ALIVE & WELL today. About a couple of years prior, I had an idea for a domain name (I had 4-5 domains, two were decoys and one preferred). I visited INTERNIC Whois to verify that all domains were available, typed the domains in a private browser, went to GoDaddy to register (All three shown as available at a regular price), ADDED all of the domains to my cart. I removed the domains and purchased one. I conducted this process over several months purchasing the second domain. I again searched for the third domain (Still available) and again added to my cart. Removed the domain from my cart to purchase another domain. Earlier this week, I visited GoDaddy to register the last remaining domain and now it suddenly appeared as not available. I checked INTERNIC Whois and the registrant is a company called ‘Huge Domains’ – the registration date is listed as 2/12/2010. This registration date is COMPLETELY FALSE as I had the domain in my GoDaddy cart for more than a year. I typed the domain in my browser and landed on a parked page, “This Domain Name is For Sale $2,500”. Based on my experience, GoDaddy is not only practicing DNFR, they are also in collusion with Huge Domains (Based out of Denver, CO) – which I am convinced is a predatory organization. I would strongly urge ICANN to create legislation to regulate secondary domainers that would prohibit squatting on domains for longer than a period of 1 year. At the conclusion of the year, the unsold domain must be returned to the open market. PS. I’ve since found another domain and registered the name at another registrar. I intend to transfer all of my domains out of GoDaddy. This practice is suppose to be unlawful but it is alive and well. I’m so tired of these unscrupulous people taking any name I happen to look up and stealing domains that lapse and then trying to get you to buy them from them for an exorbitant price! I hope that the laws become stricter and enforcement greater on they jerks! I have not been able to prove that DNFR is still in existence in mass. I’m sure there are use cases where it might happen, but I cannot prove it. Do you have any proof of DNFR? If so, please either share it here or contact me at https://www.domainsherpa.com/contact/ with your data and I’ll promise to investigate it further. Thank you so much for this. I am a newbie, and I have already had instances where I inquired about a domain name, it was a available for $2.99 + fees; however, by the time I came back to buy said domain(s) a few mins or hours later, the prices were now premium. I was wondering about DNFR (although I did not know the term before reading this article). It is better to be safe than sorry, so thank you, thank you for this article. Your website helps newbies a lot, it really does. Whether I make money or not in this business, I would have learned so much from your website. namecheap.com and hover.com are definitely using DNFR.. I tried many times, each time the price goes up to $2000+ in namecheap.com, while hover.com asks me to make an offer. But when I go check the same desired domain at CANN or using Domain Info Lookup Utility from (sysinternals.com) the query returns with “availability”. Both were available, i was busy writing an article, and delayed registering the name – can you believe that just after half an hour the site says both names are taken. If I wanted any of the names I have to buy the name for 200 dollars– this was amazing—- those people who say people of Pakistan do fraud–then what is this???? Please do not check your domain names on Godaddy nor register your site on their server. They are giving a bad name to all who are directly or indirectly linked to internet business. GoDaddy doesn’t do it? I smell bs. I and my friends had a great business idea. I worked hard to come up with a name and a domain to go along with it. Searched for it on GoDaddy and it was available. I had to discuss this with my friends (who are also my partners) before finalizing on the name. They liked it. And next day I try to register the domain and it was unavailable. When I tried to access it, the domain was parked with GoDaddy. This is anecdotal and I can’t prove anything just with it, but I’m sure there must be others out there with a similar experience. Thanks for your comment. I understand your frustration. Just yesterday, 104,042 .com domain names were newly registered. Those are brand-new, hand registrations at registrars like GoDaddy around the world. In one day. See http://www.tldwatch.com/tld-summary-table/ for a summary. It is possible that a great domain name had more than one person think of it within a few day time period, especially if it’s a generic or really cool brandable sounding domain name. If it’s parked at GoDaddy it’s likely registered there and the registrant just hasn’t put up a site yet. Go looks up the details of the domain using http://whois.sc/domain.com and see who it is registered to. GoDaddy doesn’t hold domain names (doesn’t maintain a portfolio of investment domains) so it cannot be them. Yes, there are others out there that have had a similar experience. I’m sure I have and I know of others that have too. It’s unfortunate but a fact of life when .com is the most popular extension. GoDaddy reps post quotes from CEO about how bad domain kiting is and how they don’t do it. They certainly assist in this process using a subsidiary by selling info placed into their search bar – and help to screw their customers today. Yesterday, I searched a domain and it was open – less than two hours later it was snapped up by DigX in Las Vegas and registered through GoDaddy and put on auction. I have dozens of domains through GD but will start moving them as they expire. This is corrupt and should be illegal – just as Bill Parsons claimed years ago. I no longer trust Go Daddy with my business or information. I now believe they will stab you in the back – and probably make money off of your blood. i am unable to use download and install this whois software. thanks man… this is what i need. I couldn’t realize how frustrating buy good domain. Here is my question. Say I searched for (and found available) a name that was pretty rare. I waited for a day before grabbing it – only to find it registered – the registrar being the webhost I used to search the name (godaddy.com). Now – when I look up the WHOIS record – it shows as being originally registered in 1996! 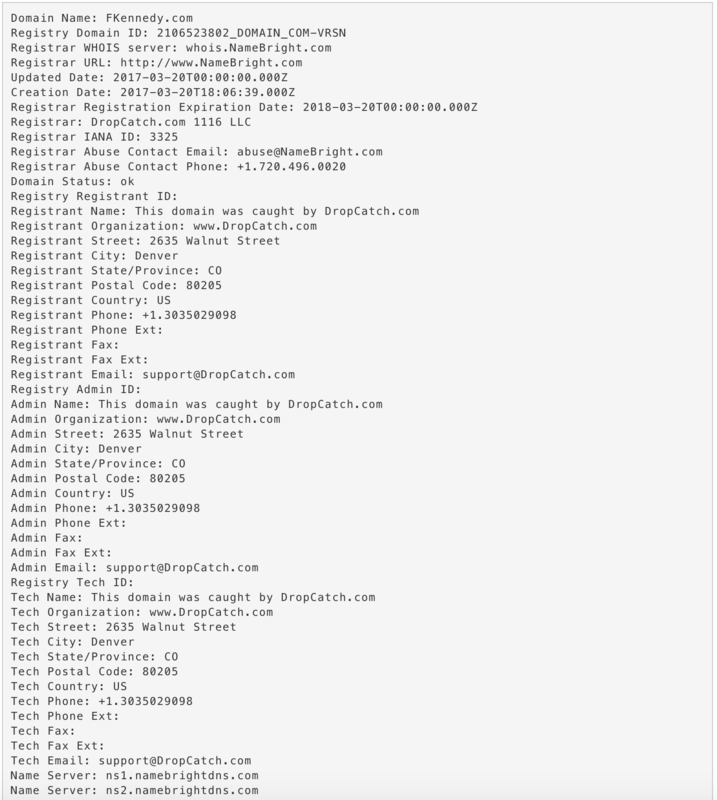 Is it possible for godaddy to register – and put a ‘fake’ date on the registration record? Or is that impossible? Where did you search for it? Sometimes I search for domain names and see it listed as available, but it’s not. This happened to me just yesterday. I was looking up some domains for educational reasons and saw NewYorkCity.info was available using a third party tool/website. Surprised. I went to the registry (http://info.info/find-domain/newyorkcity.info) and saw that it was taken (registered 25-Jul-2001). Lesson learned for me: sometimes the APIs between sites don’t work the way they’re supposed to. Same thing happened to me with godaddy, I get a good domain and saw it was available on their site, I go back about an hour later to register it and see its taken along with the .net and .ca versions which were also available, I check on a whois site and it says registered with godaddy like 6 years ago… same with the .net and .ca versions but at different dates, now can you seriously think that all 3 of them were mistakenly showed as available? and of course they were all put up for auction as well..
apparently I was mistaken regarding the .ca version because I see now theres a site operating on it that seems active, my memory gets jumbled sometimes and I was tired so maybe i didnt check the .ca version after all, but what I said seems to be true about about the .net and .com versions although after seeing the .ca website I’m starting to doubt my memory of that night even though it was just couple days ago :l .. the point is I’m not a credible source but there is others who report the same happening with godaddy so make sure to follow this guide, but who knows it might not even be godaddy because I and a lot of other people too probably also searched the DN in a search engine. I just don’t want to slander godaddy. Goddady just did that with my future domain websec.me I’ve almost registered on july 17, I even went to shopping cart but wanted to think a little more, today 08/16 I’ve tried to register and it was registered on July 20 by GoDaddy. That’s a shame. I’m very angry with goddady. There are tens of thousands of technologists around the world who understand about websec. I just looked today and it looks like the domain name has expired and the status is “Repossessed by Go Daddy”. Watch it at GoDaddy Auctions, it will likely go to auction there soon. Good luck, if you’re still interested. Excellent read, thanks a lot for this posting. Your article is very helpful. I discovered your site a few days ago. Thank you for your great work! Nice article on the topic of front running. I would just like to point out one little detail about Sedo.com (for full disclosure, I am an employee there). Sedo operates a marketplace for domain names that are registered and listed for sale. We are an ICANN accredited registrar, but do not currently have any names registered in our accreditation. Sedo is referring clients to one of our registrar partners in case a user is searching for a domain name that is still available for first time registration. We do not have control over what happens with the search that is subsequently performed on our registrar partner’s website. But if you search for a name at Sedo and it is still available you will be put in a position to immediately acquire that name without Sedo attempting to beat you to it. Love your blog. Very educational. Well, now that’s a post well worth reading! Many thanks for that good article, that must have taken some time to put together with superb info. @Neil—- everybody agrees with me whether they like it or not. #2 -one who makes the #1 rich by just playing games,wasting time on the websites that #1 creates. I’m not sure if it allows bulk search. I’m on a Mac nowadays. It appears to be single-line action, which is like the version for Mac/Linux. Some individuals on Hacker News have suggested that there are options out there for bulk (with links), but they rely on the goodness and virtuousness of the individuals running the service. Let me know if you find anything useful and I’ll update the article. It’s not often I’m going to agree with BullS, but if you *really* believe a name is valuable, spend the $5-10 to reg it. Why I love this BS domain game. I register 10 domains every day- who cares whether I like them or not. At the end of the 4th day , I see which ones have clicks and worth keeping. Then I called GD and tell them I want my money back on those BS domains. That why I love this game. Thanks, a. I’m a HN fan, and have never had an article go this high on HN before (was #3 at one time). Totally awesome. I’m a fan of HN and you’ve got 100 points on this article. Nice! With the way things are, everybody has to steal to survive. 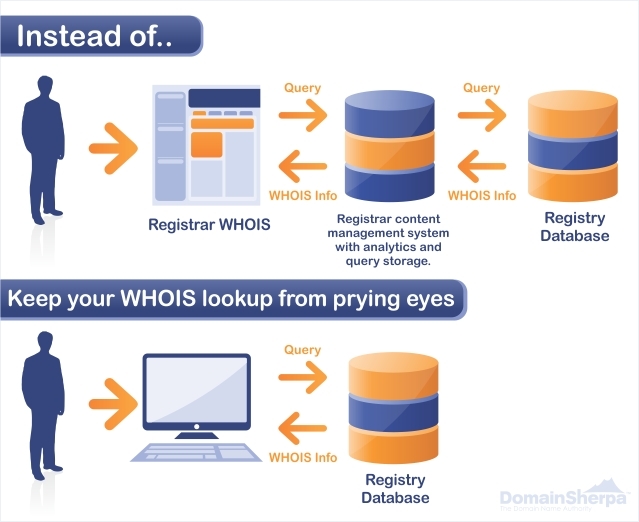 When I used whois tool (from microsoft) for my domain, it connected via whois. – that is, my registrar’s whois server. I don’t think whois tool will prevent this misuse because whether via a web interface or via a command line tool, the request has to go via registrar’s server. It’s a case of fence eating the crops. Yo, I know who the domainer is owning the BullShitWebsite, he lives in S.Florida.